In a few minutes, you will receive an email with a link to reset your password. If you do not receive an email, please check your spam folder. 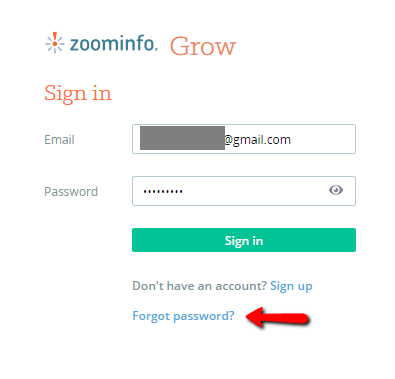 If the email is not in your spam folder, please contact Grow customer support a t zoominfohelp@zoominfo.com, or reach out to us using the chat box.